What Pinterest lacks in user numbers it makes up for in aspiration: beautiful buildings, artwork, crafts, technology, outfits and landscapes. Whether you’re a keen Pinterest user or a newcomer who’s in the early stages of poking around, here are 10 useful tips to improve your pinning experience and get more from the platform. If you’re interested in what’s being pinned from a particular website (one you own or one you like perhaps) then follow the URL www.pinterest.com/source/<domainname>/. On screen you’ll see the most recent pins from the selected site. Being able to filter these links by popularity would be even more useful, but nevertheless it’s a helpful way of finding inspiration or just checking out what’s attracting the attention of other users. As always, you can click through on a pin to view it or pin it to your own boards. Chances are you have friends who aren’t on Pinterest—so how do you get them to see the glorious content you’re sharing every day? On a pin, click on the Send button, then start typing out an email address. Choose the top option from the drop-down list to complete the process. Your chosen friend, relative or colleague then gets a link to the pin that can be opened up in a browser window as normal (it’s a good idea to include a few lines explaining what the pin actually shows). To reply to your message, your friend has to sign up for the site. 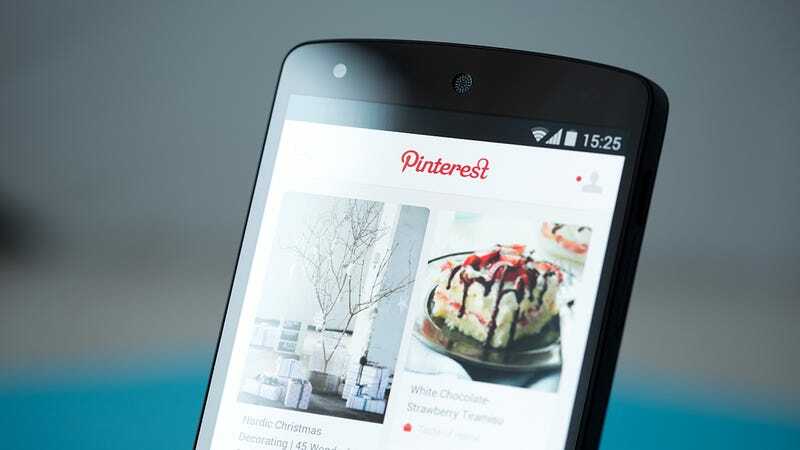 Keen Pinterest users will of course want to know everything that’s happening on the network, but perhaps you want to keep a lid on the number of alerts you’re getting through your mobile app of choice. You can manage mobile notifications through Pinterest on the web. From the settings page (click your avatar then the cog icon) click on Edit push notification settings—you might be surprised at just how many there are. You could switch off alerts about friends joining Pinterest or new stuff you might like, for example. A recent upgrade to Pinterest’s web interface makes it easier to move a bunch of pins to a new board with a few clicks (and drags) of the mouse. If one of your boards is getting large and unwieldy then this is a handy way of transferring a batch of posts to a new location. Here’s how to do it: Go to any of your boards through the Pinterest website, click the Move Pins button, and then tick all the pins you want to transfer (up to 50 pins can be selected). Choose Move and a list of your boards appear, as well as the option to create a new one. If you’re happy to let Pinterest know a little bit more about you then you’ll notice the benefit in your searches. A query for “watches” will return items popular with men or women, for example, depending on your gender settings. The option is on your account settings page. As Pinterest’s official blog post puts it, “everybody’s results should feel a lot closer to what they’re looking for.” It ties in with the Guided Search feature recently introduced on the site and in the mobile apps, where you’re given pointers for finding results once you start searching. When you’re creating a board you’ve no doubt noticed the Map option that appears in the board options. Enabling this setting gives you the ability to view the location information stored with your pins and add an extra touch of visual flair to your Pinterest boards. Click Add a place on any pin on a map-enabled board to set a location to it (you can also do this from the pin details dialog). Data is pulled in from Foursquare and you can view all of the board’s pins on a map by clicking on the large header image and scrolling around. You can tweak your Pinterest home feed in the same way as your Facebook News Feed to change the recommended pins that the site suggests for you. Tap on the small cross icon in the corner of a pin that’s been picked for you to hide the individual post or all posts like it. This only applies to recommended pins—if you want to stop seeing other pins you’ll need to unfollow the boards in question. If you don’t like recommended pins, you can switch them off altogether by heading into your Account Basics settings page on the web. Sharing content from the web or anywhere else to Pinterest is straightforward on Android (as soon as you have the app installed) but a couple of extra steps are required on iOS 8 and above. First of all get the free app installed from the iTunes Store. From within an app (such as Safari) tap the Share button then the More icon next to the Mail, Twitter and Facebook entries. Toggle the switch next to Pinterest to on and you can share directly to your boards (use the handles to the right to change the order of the share options). At the foot of your Pinterest account page (where all your boards are shown) is a section for private boards. Setting up a secret space only takes a couple of clicks and it can only be accessed by you and the other contributors you invite to work on it with you. Pinterest is built around the idea of sharing your pins but other people, but there are various different ways to use this: For a birthday gift list for someone else, to keep track of holiday plans that you’d rather keep private, and so on. You can always make the board public later on. If you’re out and about or just rifling through your shelves, LoveList lets you scan a product’s barcode (or UPC) with your smartphone camera and add a Pin to one of your Boards with just a couple of taps. The app is free and can be installed on devices running iOS 7.0 or later. Whether you’re at home wanting to make a catalog of recent purchases, or in a store and wanting to build up a wishlist for a wedding or birthday, LoveList is a helpful shortcut to getting content up on Pinterest, and integration with the social network is slick and straightforward.